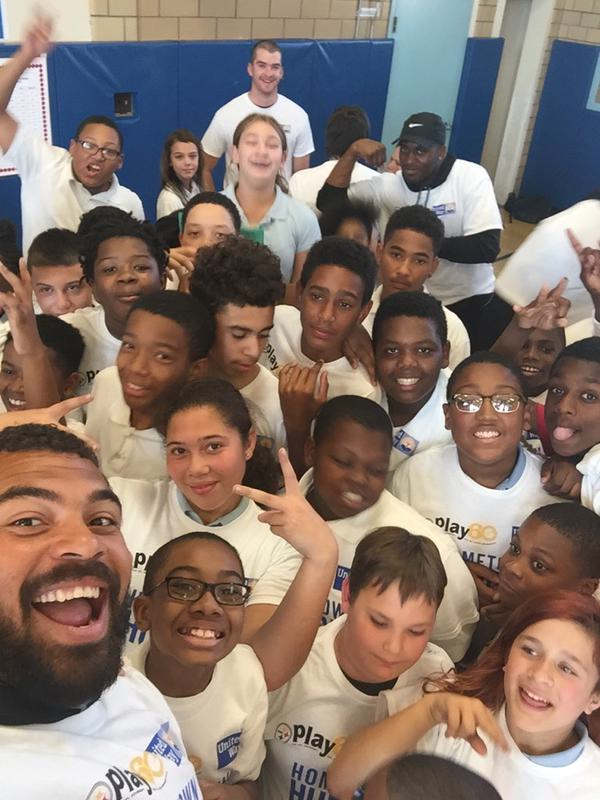 Cam and teammates recently took part in the 16th Annual NFL/United Way Hometown Huddle at Pittsburgh Schiller Middle School. The players surprised students at Pittsburgh Schiller 6-8 with a fun afternoon of football drills and even some ‘Simon Says’, and there was no doubt the kids loved the activity and the players did as well. 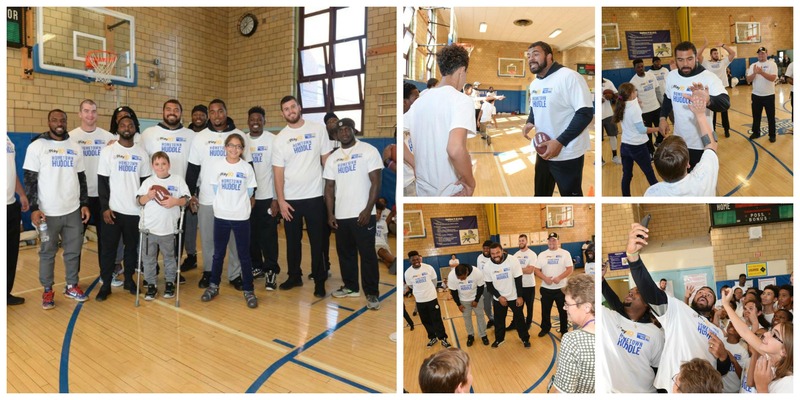 The Hometown Huddle also was a part of United Way of Allegheny County’s fitUnited Pittsburgh, an initiative that brings adults who are influential in the lives of kids together to stress the importance of making the right decisions for a healthy lifestyle. “It’s so fantastic to see how they want to give back to the community,” said Megan Marucco, Senior Corporate Relations Manager at United Way of Allegheny County. “It means so much to these kids. These are the kids that have been doing well, they have been getting good attendance, doing well in school. It means a lot to them.